You Need Dog Training Help... But From Where? I receive so many emails about problems like this where your dog just doesn't listen. Don't despair.... it can be different! So your puppy needs training.... or your adult dog needs training.... and you're looking for some help. You've probably looked at a few websites, but all you found was a few tips here and there. It's not enough! You want step-by-step instructions on what to do when your dog won't stop barking.... when he keeps pulling on the leash.... when he keeps jumping on you and the kids.... when you want him to behave at the vet's. But where should you get help? Should you hire a professional trainer to come to your house? 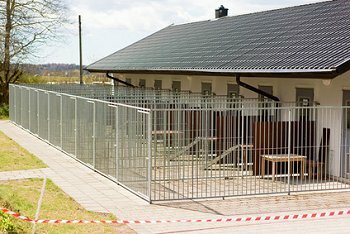 send your dog away to be trained? sign up for a group obedience class? read a book? watch a few videos? Which of those options will help you the most? I decided to write this article to give you my advice on where to get dog training help when you really need it. Let's do a quick evaluation of the merits of each. You could hire a professional dog trainer to come to your home. A trainer who comes to your house might be good. But he might be really bad, too. A personal trainer is expensive. You could easily spend two or three hundred dollars per session, and need multiple sessions before you're satisfied that you can take over the training on your own. Many trainers don't use the right training method. You want a trainer whose methods are based on respect and leadership. These are called balanced trainers. Sadly, many "professionals" today call themselves positive-only trainers. They never correct a dog's misbehavior; they don't even like to say "No." 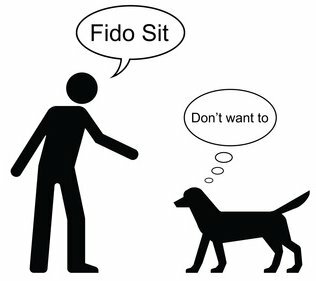 This impractical philosophy is a waste of your time and money if you want a well-behaved family dog who understands what he should AND shouldn't do. The trainer might not work well with you or your dog. A trainer might be too rough with your dog. Or too wimpy. A trainer might be great with your dog, but have no clue how to teach YOU to take over after he drives away. Many trainers are good with dogs, but have weak people skills. Worse still, you need to spend all that money before you find this out. Most of the training session will be spent chatting, not training your dog. Dogs don't learn well in long concentrated time blocks. They can only pay attention for a short time, no more than a few minutes, before they need a break from training. That means most of the hour or two the professional trainer spends at your house will be spent chatting with you. Expensive chatting. The trainer can't live at your house. As soon as the trainer drives away, your dog will probably do something that you don't know how to handle. If not today, then tomorrow. But you won't see the trainer until next week. What are you supposed to do until then? So imagine yourself marking your calendar for your first lesson with a professional dog trainer. How does that make you feel? Worried about the expense? Worried about whether the trainer is any good? Worried about the possible lack of progress? Then it may not be for you. You could send your dog for 2 to 6 weeks to a Board & Train facility that offers to train your dog FOR you. Your dog lives at the kennel for 2-6 weeks, while a trainer works with him for a few hours a day. Board & Train is best for aggressive dogs who have bitten (or seriously threatened to bite) another dog or a person. These dogs should be evaluated and handled by professionals who have experience with aggressive dogs and who practice balanced dog training (not positive-only training). Unfortunately, most Board and Train facilities do NOT have the right expertise, although they might assure you they do. Dogs don't get "all fixed" at a Board & Train. Dogs aren't robots who can be programmed with magic words to make them obey you. 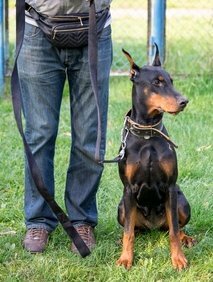 Oh, your dog will certainly learn good behaviors and he will obey the professional trainer. That's because the trainer immediately establishes the right relationship of leader/follower, and dogs respect and obey leaders. But when your dog gets home, if you don't know how to act like the trainer, if you keep doing things with your dog that undermine the right relationship of leader/follower, your dog will go right back to his old behaviors. Sure, your puppy did great with the professional trainer. But as soon as he got home, he's still in charge and you're out $2500. That's why you will need to make multiple trips to the facility to learn how to take over the training. You need to go in not only during the training period, but after your dog has come home, because I guarantee you that he's not coming home all fixed in the same way your car comes back from the mechanic's shop all fixed. Dog training doesn't work that way – because it's actually the owner (sorry!) who causes most dog behavior issues. Unless the owner learns how to change the ways he interacts with the dog, the dog won't change his behaviors. How much does all this cost? Typically $2000 and up. And frequently you spend all that money only to discover that very little has changed once the dog gets home. This is especially true if you picked a positive-only training facility. A Board & Train facility might be your best (or only) option if your dog is seriously aggressive AND if you're lucky enough to live near a top-notch balanced training Board & Train. Honestly, there aren't many of those. You could enroll in a dog training class – once-a-week group lessons. 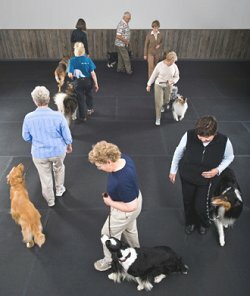 Beginner dogs (and owners) don't learn well in group classes. My local pet supply store offers a 6-week class for $119. For that price you get barking bedlam, dogs lunging at each other, and almost no "teachable moments" where you and your dog are able to focus and learn. Typical group obedience class. The lessons aren't very practical. What you do learn isn't useful. The goal of an obedience class is to teach a few basic commands. Sit. Stay. Heel.... all while on leash and walking single file with other students in a big circle at the training location. Is that what you want? Or are you more interested in having a well behaved dog who doesn't charge through open doors and gates, and who will go lie down on his bed when you tell him to and stay there for an hour while you have guests over? The practical lessons that owners want aren't taught in group obedience classes. Dogs who graduate from obedience class still misbehave. Even if your dog gets a diploma, knowing how to sit and stay won't stop him from barking too much, jumping on people, chewing things, peeing in the house, and so on. Misbehavior is not solved by obedience training. As soon as the dog gets home and the leash comes off, he goes right back to misbehaving. Virtually all public obedience classes use the wrong training method. Sadly, most "professionals" who teach public classes today declare themselves to be positive-only trainers. They want you to ignore bad behavior. They don't even want you to say "No." If you want a well-behaved family dog, this "politically correct" philosophy is a total waste of your time and money and an insult to the way your dog learns best. Public classes can be dangerous. Anytime a group of dogs gather, there is risk for aggression. This is especially true when so many of the owners are there because the dog has behavioral issues like aggression. In addition, most owners in a beginners class don't know how to control their dog. That means your dog could be lunged at and frightened by another dog, which could ruin your dog's temperament for life. Or your dog might be the one doing the lunging and aggressing. Either way, don't count on your dog "making doggy friends" at a group obedience class. Honestly, I hope you reject this option. I had to include it because it's so common. But it really doesn't match how most people or most dogs learn best. And besides, obedience classes don't focus on the "right" objectives of teaching your dog to respect you and stop misbehaving. You could buy my dog training book and follow its step by step advice. 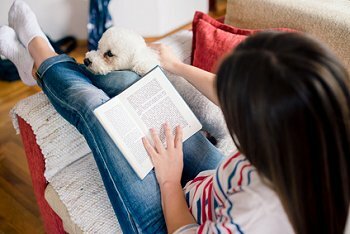 Curl up with my dog training book, Teach Your Dog 100 English Words, and learn at your own pace, in the comfort of your own home. Okay, I admit to being prejudiced. It's my book, after all. But I fully believe this is a great option for you. And it's inexpensive, at only $19. You also get a collection of free bonus books covering health and feeding as well as training. My training book is based on balanced training, respect, and leadership. 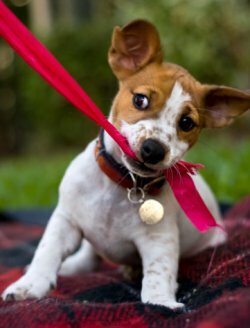 You'll learn how to raise your new puppy, and how to deal with behavior issues in both puppies and adult dogs. When considering whether the "book option" is right for you, your personal preferences may be more important than other considerations. Do you like to curl up with a good book (and maybe a cup of tea?) and learn through reading? Do you like the feel of holding a real book in your hands and turning the pages? Do you fold down corners, highlight sections, write notes in the margins, or place bookmarks to help you remember important parts? Do you focus better and learn better when reading in a completely silent room? Do you like to read with soothing music in the background – something you can't do with any other learning option? Do you like to pass good books on to friends, or wrap a good book and give it as a gift? If you like to read, go here to buy this dog training book. Remember, you're also getting 5 free ebooks as a bonus! To read more about how my book can help turn your dog into a good dog who follows your household rules and always does what you say, click here. Obviously I'm a book lover! But if you prefer a multi-sensory approach, if you prefer seeing and hearing training techniques in action.... videos may be better for you. You could watch a dog training video course online. Dog training videos show the trainer and dog in action so you can copy what you see and hear. Many people like to learn visually, by watching training techniques in action. With a video, you can see the trainer's body language, you can hear his tone of voice, you can even read the emotions he projects for the dog's benefit. Then you can copy those with your own dog or puppy. The problem is, if you watch a bunch of random videos from random trainers, you end up with random results. Most of those videos are even recommending the wrong training methods. They're a waste of your time. My researching and writing have kept me more than busy, so I haven't made any of my own videos. But I have found someone I'm happy to recommend to you. 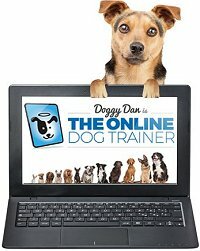 Check out the online dog training videos done by "Doggy Dan". You can watch them on any computer, tablet, or mobile device. If you're interested in exceptional dog training videos, I recommend a site called The Online Dog Trainer. It's run by Daniel Abdelnoor, known professionally as "Doggy Dan." He's a world-class dog trainer based in New Zealand. If you join Dan's community of dog lovers, I get a small commission – enough that I can keep writing honest articles and dog breed reviews and keep my website free to the public. Dan's training method, like mine, is based on respect and leadership, and is endorsed by the New Zealand SPCA. Dan even supports his videos with personal consultations. 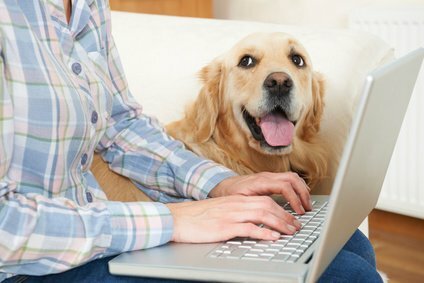 You can connect with him online, ask him questions, even show him videos of your dog's problem if you want. He'll analyze your situation, prescribe a solution, and help you implement it. 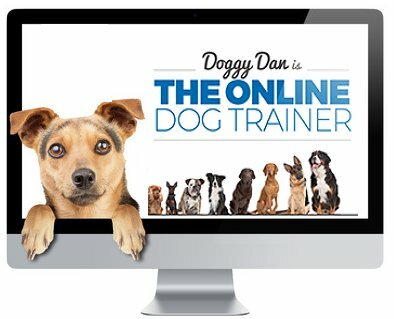 I've teamed up with Doggy Dan because these are the best dog training videos I could find online. I highly recommend them.